Jamie Stiehr joins me to talk about vintage and club racing, how to grow participation in our sport, how to help charities through racing, and the Race Against Kids’ Cancer (RAKC). Many individuals and teams have used motorsport as a platform for raising funds for a good cause, and the RAKC, which supports the Morgan Adams Foundation is a great example. The event has been successful in raising over three-quarters of a million dollars, and has now branched out into a separate event in Texas. 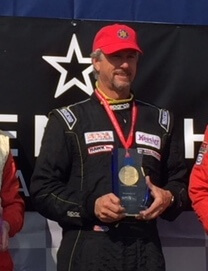 Jamie has raced with the Rocky Mountain Vintage Racing club for years, as well as in the SCCA – both in Formula Ford. He also races a BMW 2002 in vintage racing, and has served as the club’s chief instructor for their annual driving school.